Imagine traveling to a tropical island or beach villa for an “outside the office” getaway with your team. Your days would be filled with team building activities, memorable adventures and abundant opportunities to bring your team closer together. Being away from the office environment will help your employees find focus, gain motivation, and engage in strategy sessions. Planning unforgettable experiences for employees is vital to maintaining a solid company culture. Building a great culture outside the office translates to loyalty and dedication within the company. This is why work retreats have become the new norm for companies across the world. How can you begin planning the perfect company retreat? Consider some of Outsite’s breathtaking locations like Santa Cruz, San Diego, Lake Tahoe and the newly opened Napa Valley, Stinson Beach and Costa Rica. Team bonding doesn’t have to mean being stuck in a boring conference room with catered sandwiches and workshops about company culture. Thanks to pioneering remote workers and virtual teams, team building can now happen outside the office. 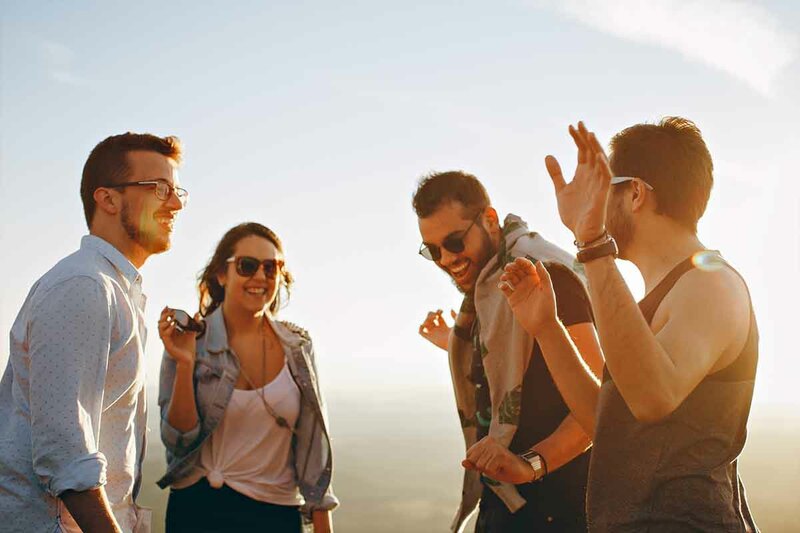 According to this Forbes article, motivation increases employee engagement while team adventures build lasting relationships - there’s nothing to lose! As Poki, a games startup in Amsterdam, has demonstrated, corporate retreats can be held anywhere. Having a longer retreat sometimes translates to getting more work done. Poki gathered the team and traveled to Ko Samui, Thailand for a month of work and play. As a result, they gained “invaluable experience” that enabled their team to grow professionally and culturally. Now, yearly month-long retreats have become a tradition at Poki. Why do some corporate retreats fail and how can you host the perfect one? Hosting a remote company retreat shouldn’t feel as monotonous as planning a workshop or conference. Although it is crucial to have a clearly defined agenda, it is also very important to leave some surprises to keep things interesting. According to this Entrepreneur article, boredom is a common cause of retreat failure, which is why it’s important to balance retreats with outdoor activities. Beautiful natural scenery helps too! Why should your company invest in corporate retreats? Retreats are perfect for team building and having a solid company culture dramatically improves employee loyalty and retention. In fact, according to this Fortune article, workplaces with better culture see 65% less employee turnover. Buffer, a successful social media startup with founders who are early investors in Outsite, is an entirely remote company with a large team distributed around the world. How do they manage to host successful retreats every 6-7 months? Around the world, companies are stepping away from boring workshops about “company culture” and venturing outside. Company retreats not only facilitate team building but also dramatically boost employee loyalty and productivity. Bring your team closer together than ever by alternating work sessions with adrenaline pumping activities like skiing, surfing, wine tasting and more. Remember: whether you manage a small team or a big corporation, quality time with the employees away from the office is crucial. Get a retreat quote from Outsite today.